Apr 12, 2017: Question about Desktop mic and headphone. May 16, 2017: Audio issues, anyone experienced with bluetooth headphones + PC gaming please help!! Jul 10, 2017: Why is the same product being sold under different brands? Aug 15, 2017: Noise Isolating headphones or active noise cancelling headphones under a $100? Dec 19, 2017: Best Noise-Cancelling BT Headphones for classical music? Jul 13, 2018: Rec for durable mid-range over ear bluetooth headphones? 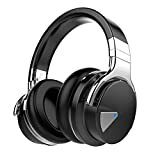 Nov 26, 2018: Are Cowin bluetooth headphones any good? Feb 10, 2019: What can I do when support doesn't reply to a product under warranty that broke?